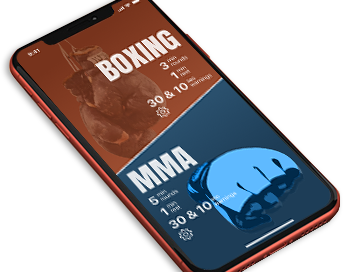 Mobile MMA/Boxing rounds app designed to keep track of workouts and support various training methods. Way back in 1990 something, my sophomore year of college, I started learning a little known martial art called Jeet Kune Do (JKD). Well, it's more of a concept for martial arts concocted by Bruce Lee (yes, that Bruce Lee). His concept was to take everything that was useful in any martial art and absorb it to fit your needs and throw everything else that isn't useful out (definitely something that's carried through to my design career). In other words, Bruce Lee started mixed martial arts in the 1960s... who'd have thought. 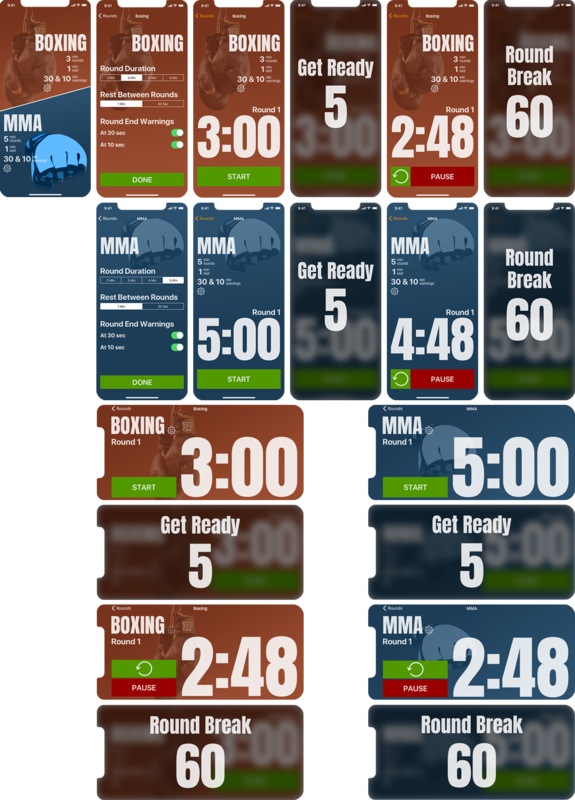 When practicing mixed martial arts and/or boxing you usually keep track of your training time using a ring timer. These can be as simple as a stop watch or an actual automatic timer with a bell. Stop watches are very flexible, allowing for any sort of timing variance for any type of training regiment you may need, but it requires an extra person to manage the timer and shout out the start/stop times. So a ring timer is generally the way to go. They usually allow your to select the length of round and break time you want and whether it pings when there's ten seconds left in a round. They're usually analog, but they can digital versions as well. They need to be loud enough so you can hear them through all of the typical sounds in a martial arts gym and it would great if you could see how much time is left in the round and/or break (most ring timers are not digital). 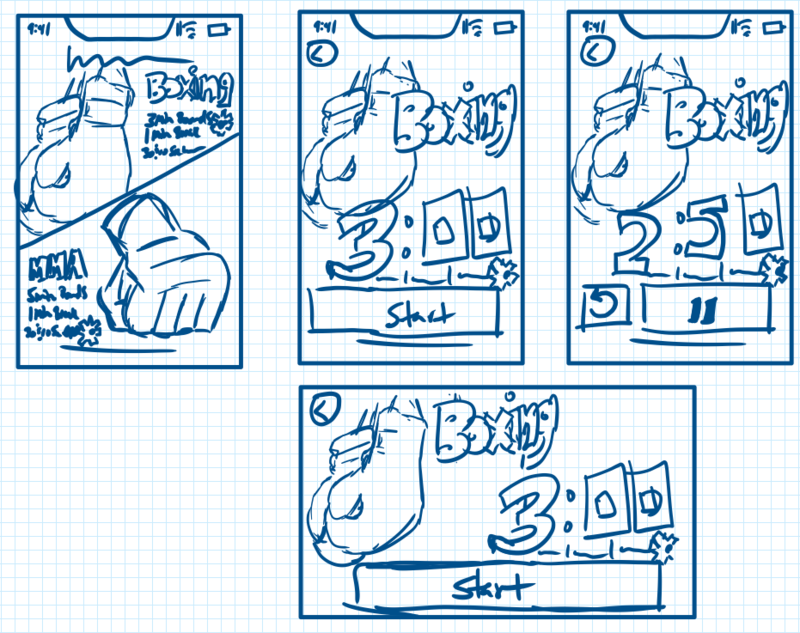 I used to have an analog ring timer that let me select between a 2 or 3 minute round (this is more of a boxing timer than an MMA timer which was just getting started when I got it), 30 or 60 second break and whether I wanted a 10 seconds left reminder. When I moved to California from Chicago however, it broke and I was too cheap to buy another one... besides, I figured I could design and build a better one anyway... so that's what I did. I call it Rounds.